Two conflicting perspectives at the heart of the wildcat strikes spreading across Britain threaten to turn this conflict into a xenophobic safety valve for corporate business interests as we face global economic meltdown. The Italian company is importing cheap labour from abroad to the exclusion of local workers, pitting worker against worker in a classic case of divide and rule. Some want them sacked and replaced with Brits. But there's a sizeable proportion of the strikers who see the cause lying squarely with the companies who are bringing in the cheap labour and pushing down wages, and not the hard-working stiffs being shipped in. While the press has focussed on the nationalist anti-"foreign" worker fervour and depicted this as being a chauvinist matter between rival workforces, Gordon Brown's words from 2007 pledging "British Jobs For British Workers" have come back to haunt him. Together with the companies, whose interests in this are obvious, the media and the ailing government might succeed in turning the inevitable outpouring of anger at the prospect of a massive Depression and collapse of the whole system, on to fellow workers rather than, for example, banks who go cap in hand for bailouts while awarding 20 billion dollars in bonuses (according to Barack Obama in his latest TV address). Unity against the bosses, no to racism and the BNP. Organised Rage supports the Lindsey construction workers' right to have a say in who is employed in their local industry and criticizes the company's accommodation of the influx in "flop houses". "... the Italian company involved in the Linconshire dispute intends to house its work-force on converted barges moored in Grimsby dock, which amounts to housing workers in what is a large flop-house. It will also has the added effect of depriving the local economy of any real benefit of these workers being in the UK." I agree with Harpy Marx's take here. And there's a lively debate at Socialist Unity here and here. Someone said on one of the threads that during one black vs white strike in the 1930s, the US communists achieved a win-win settlement with no sackings and with more jobs created to satisfy the workforce all round. That's an outcome I'd like to see. Jon Cruddas Guardian article: "These strikes aren't about xenophobia". Discussion at SU. Very clear item on the slogan versus the underlying cause from Charlie Pottins. Europe-wide petition against social dumping. * Outlawing action aimed at ‘levelling up’ wage rates of imported workers. * An amendment to the posted workers directive to at least clearly spell out how mandatory standards can be guaranteed through collective agreement and also defended through collective action. * An agreed temporary agency directive as quickly as possible. * A social progress clause making it clear that the fundamental right to organise and the right to strike are in no way subordinate to the economic freedoms. Striking oil workers: race or class? Oil industry strikes are spreading across Scotland and northern England as British refinery workers protest over use of “foreign workers” to the exclusion of locals. Angry workers at Lindsey and Conoco Phillips refineries in North Lincolnshire are striking over a new contract awarded to an Italian contractor who is only using Italians. The big question is this: will the dispute continue to nail the employers for their profit-driven pursuit of cheap labour? Or will it tip over into an “Us” versus “Them” race diversion as being pushed by various right-wing forces and media? Drafting in migrant labour from overseas is a tried and tested method of undermining the pay and conditions of workers. Turning on the workers who come in to take advantage of employment opportunities opening up plays directly into the bosses' hands - it obscures the fact it is they who are attacking and driving down wages, and therefore the responsibility lies with them. Another worker at Grangemouth says they were not objecting to foreign workers being used. He explained: "The objection is foreign companies clearly stating they will not start British workers on the job. We have no problems working with foreigners of any kind - we have Poles working here recently with us." Which is a lot more enlightened than some on the left. One Socialist Workers Party and Stop the War Coalition leading light, John Rees, told me in a meeting that racism against the Chinese was of no consequence to them because “the axis of racism is black and white”, and that “it’s British workers who count, not Chinese.” They've never retracted these statements so, as far as I know, they still stand. I'm reminded of the crap the Chinese had to go through when they were shipped into the US to build the railroads in the 1860s, and right into the 20th Century. The Labour movement at the time defined it as a matter of race, not class, and it weakened everyone. The Wobblies were far more enlightened and sought to bring the Chinese into the fold to take their place in the class alongside all the other workers. Even in Britain the unions attacked them, leading to nasty riots in places like Cardiff. So let’s see how the left deal with this and if those striking workers like the guy from Grangemouth can turn this protest into something wonderful that helps all of us in the long run. All power to him. STOP PRESS: Important point made by Eddie at the oil strike thread on Socialist Unity website. "I just spoke to a national GMB official and he was saying that a number of agencies involved in the sector are point blank refusing to hire UK workers in a deliberate attempt to smash union organisation and drive down wages." Barack Obama shares the letter Bush left for him in the oval office. We need a bit of funny in this Vale of Tears and this video does the job. The BBC is often accused of an anti-Israeli bias in its coverage of the Middle East, and recently censured reporter Barbara Plett for saying she "started to cry" when Yasser Arafat left Palestine shortly before his death.Fascinating, then, to learn that its director general, Mark Thompson, has recently returned from Jerusalem, where he held a face-to-face meeting with the hardine Prime Minister Ariel Sharon. And I never knew that it was only days after this meeting that BBC Middle East reporter Orla Guerin was sacked. Greg Dyke looks askance. Impartiality. A moveable feast? Or smoke and mirrors? Tony Benn argues for the BBC to broadcast the humanitarian aid appeal and cheekily does it himself. What was that address again, Tone? Donations can also be made at high street banks and post offices. In an unprecedented turn that goes some way to restoring my faith in people, ITV, Channel 4 and Five are to show a charity appeal for Gaza (due Monday) despite the BBC's shameful decision not to run the film. We've all seen the horror of state of the art technology versus the equivalent of peashooters in a fish-in-a-barrel shooting spree. A conflict where Palestinian civilians, already run off their land and herded into a 25 mile strip (and when they call it a strip, they aren't kidding), have no-where to run as missiles, phosphorous and "flechettes" rain down on them. Jonathan Miller's harrowing C4 News films, here, here and here from the battle-zone show us the results of "asymmetrical" warfare: 400 dead children, buildings into which the IDF have rammed families and then shelled them, gloating graffiti scrawled on the walls by the invading Israelis pledging death to all Palestinians. A population already reeling from a two-year blockade, scant stocks of food and medicine incinerated in the UN compound, 1,400 dead Palestinians since the 2005 Israeli withdrawal, and now a thousand more in the run up to the Israeli elections, have been forgotten. And the BBC refuses to air the Disaster Emergency Committee humanitarian appeal for aid to the Gazan civilians. Five now says the issue "transcends politics". The BBC stands to the right of even our lousy government in this. One minister, Douglas Alexander, the International Development Secretary, has urged the BBC to reconsider "in the light of the great human suffering still taking place in Gaza". And Ben Bradshaw says, "I'm afraid the BBC has to stand up to the Israeli authorities occasionally," and considers their excuses "inexplicable" and "completely feeble". While Liberal Democrat media spokesman Don Foster said the BBC's decision was "disgraceful". Israel has withdrawn its troops, tanks and bombers for now but says it will not lift the blockade which starves Gaza's population of food, water, fuel and essential medical supplies. The United Nations says that the aid now being allowed by Israel into Gaza is nowhere near enough to meet the basic needs of its people. "The destruction in Gaza and the loss of the lives of over a thousand civilians and children, has shocked the world" as Secretary General of the UN, Ban Ki Moon, made clear, when he saw the devastation for himself. I watched Slumdog Millionaire the other day. One of the most upsetting scenes was the anti-Muslim pogrom where Salim and Jamal's mother is murdered by a mob intent on wiping them all out. The children have to run for their lives past burning people and incinerated houses, but where can they escape to? We weep at this and yet our brothers and sisters in Gaza have just gone through the same terrifying experience. Human beings lie in festering hospitals with no medicine, fuel, food or water. And the BBC denies them this most basic of help? Give them humanitarian aid and stop selling arms to Israel. It takes him four hours to do a hand. Then he photographs it for posterity. I cannot imagine how he does the eyes so remarkably lifelike. It took him 10 hours to do the two-handed Eagle in picture #2. I'll never attempt my puny shadow puppetry again. Click on pix for large versions. Now we know. It’s us in the future. The long-hoped-for return to their origins in ashes — a dead Mother Earth. Irradiated. Nuked two millennia back, its great cities felled. Nothing left to fall back on, just a dream of how it once was and will never be again. A bit like Iggy Pop in the Swiftcover sponsor commercials topping and tailing each segment. Someone had an advanced sense of symmetry when they stuck Iggy in there — hyper-appropriate or what? So this was home and the Thirteenth Tribe was Cylon. Just how bad can it get? For some the devastating news is liberating. But not in the way we expect. A Beloved Character bites the bullet and won’t be coming back. The last series of Battlestar Galactica began tonight (UK). Ten episodes taking us to the end of a cosmic ride in which the human race has been reduced to 39,751 souls lost in space, chased by a robotic nemesis bent on their extinction. But the enemy is ourselves: images of a shattered Gaza still vivid and merging with the myth of the Twelve Tribes of Israel scattered to the Colonies. Starbuck, my favourite character, the one with whom I identify most, discovers the hard way that she’s a Cylon. Or is she? The Fifth Cylon is revealed. All the Big Questions are rolled into a big ball and chucked at us in a kicker of an opening. Who are we? Where did we come from? What makes us human? Dylan’s All Along The Watchtower is reprised for those who can hear. Let us not talk falsely now, the hour’s getting late. Madam President as irritating as ever. She’s dying of cancer but she’s taking the knowledge and the Pythian Prophecy with her, burning her history, burning ours. Starbuck’s burning hers. So many questions. And only nine episodes left. I'm delighted to report that my radio show, A Celestial Star in Piccadilly, has been chosen for Pick of the Week on BBC Radio 4 tomorrow (Sunday) at 18:15. You can listen to the complete programme online until Tuesday morning. The year's tally of dead heroes notches up the wonderful Patrick McGoohan who found fame in the 1960s television series, Danger Man, and gave us the enigmatic and loopy The Prisoner. I had such a major crush on him when I was little and now I see his partner was east Asian. So I was in with a chance after all! Anna Chen aka Madam Miaow writes and presents A Celestial Star In Piccadilly, a half-hour profile of Hollywood's first Chinese movie star for BBC Radio 4. Broadcast 11:30am, Tuesday 13th January 2009. Pick of the Day in Guardian Guide, Daily Mail and Mail on Sunday. While I was growing up in Hackney, there were few east asian women in the culture reflecting anything like my appearance. Those that did slip through were not necessarily an inspiration. Yoko Ono was unfairly reviled in the media as a hate figure, although – far from breaking up the Beatles –she was a respected Fluxus artist in her own right and famous among the avant-garde cognoscenti way before John Lennon was anything more than a pop star. 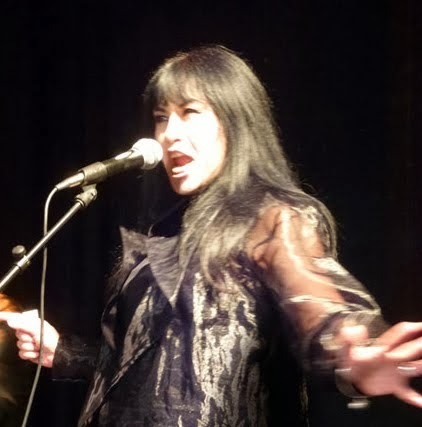 The twin horrors of my childhood, Suzy Wong and Juicy Lucy – happy hookers who migrated from popular literature onto the screen – were always there to define me in the eyes of a society without any other reference points. There were powerful women, too, but they came in the shape of Jiang Qing (Madam Mao), the kleptocratic Imelda Marcos and, in fiction, the evil daughter of Fu Manchu. Her I quite liked. I wondered who the young Anna May Wong had to look up to. She grew up as third-generation Chinese born in a youthful America when Native Americans were safely out of the way on their reservations and former slaves were consigned to ghettos and plantations. Chinese-Americans were about as low as you could get; depicted as so much of a danger to working men and decent citizens that the US government introduced legislation specifically designed to curb the ambitions of the Yellow Peril within. Their ambitions may have been humble — earning an honest dollar for one's labour, living in safety and security, bringing up families of their own — but the owners of capital tolerated them only as cheap labour, while much of the labour movement in both the Britain and the USA (Wobblies excluded) saw the Chinese as more of a threat than as fellow workers. Various schools of thought say that Asiatic humans first walked over the Beriing Straits more than 17,000 years ago and populated the Americas down to their southernmost tip. Others contend that Imperial Chinese ships arrived in the 15th century, predating Columbus by decades; or that they initially landed in California on Portuguese ships carrying silver from mines in the Philippines. What we do know is that in the mid-19th century, the discovery of gold at Sutters Mill in 1848 drew first a trickle and then a flood of Chinese who joined in the Gold Rush, populating the west coast and working the mines in the Sierra Nevada mountains. The next wave of immigration was brought in as cheap coolie labour by Charles Crocker in the 1860s to build his Central Pacific railroad which would link Sacramento with the East and bring the West into the Union during the Civil War. Conditions were harsh and they were paid less than their white counterparts. But not all Chinese would submit and conform to the role of coolie; there was one major strike with thousands laying down tools as they busted through granite mountains and worked in 20-foot snowdrifts. It was a strike that had the potential to unite all workers, and ever since I found out about it in the early 1990s while working with Sinophile author Martin Booth on his film script The Celestial Cowboys in 1993, it has inspired me, especially as there are those who insist that Chinese are genetically bourgeois and incapable of working-class consciousness. The strikers were eventually starved back to work with a few concessions but they had shown they they weren’t all pushovers. Many miners and railworkers settled in the US and formed America’s first Chinese communities. These were Anna May Wong’s roots. In a world bereft of role models, Anna May carved out an acting career in the early days of the Hollywood film industry. She started young, as an extra on the streets of Los Angeles, learning her craft and gaining proper roles in defiance of her traditionalist father, who wanted her at home in the family laundry. By 17, she was starring in Hollywood’s first technicolour movie, The Toll of the Sea, as the Madame Butterfly character, “marrying” an American who promptly dumps her when he returns to his homeland and a white wife. She dies tragically at the climax, beginning a pattern that would endure for most of her career. Trapped in Dragon Lady or Lotus Blossom roles, she grew tired of being demeaned, insulted and limited. Anti-miscegenation laws meant she wasn’t allowed to kiss a romantic lead if he was white, even if he was a white actor playing a Chinese. Your sexuality got you killed, at least symbolically. In the late 1920s she came to Britain, where she was already a huge star and made the black and white silent feature film Piccadilly for the German director E A Dupont. This was perhaps her greatest starring role, but she still had to die at the end. Death was the fate she had to endure for the crime of being attractive. I take a closer look at this movie in the programme as there’s a plethora of prejudice leaking at the edges, some of it hilarious, much of it still extant today. Anna May was the toast of Europe: mates with Paul Robeson, Josephine Baker, Marlene Dietrich and, strangely, Leni Riefenstahl. Such was the contrast in Europe with what she’d experienced back home that she once stated there was no racism in Germany. And that was in the Thirties, which gives you some idea how bad it must have been if you were a minority in the Land of the Free. She starred with Marlene Dietrich in Shanghai Express, acted with a greenhorn Laurence Olivier on the London stage. Philosopher Walter Benjamin had a major crush on her. She dined with royalty and was adored by her fans. Eric Maschwitz wrote the classic song “These Foolish Things” about her. Yet Hollywood still refused to lower the drawbridge and give her the starring roles she deserved. Those still went to white actresses in Yellowface. Myrna Loy as evil Daughter of Fu Manchu? Loy, Katherine Hepburn, Luise Rainer and Tilli Losch were all considered better at being Chinese than Anna May Wong. These things take their toll and she died in 1961, at the unnervingly early age of 56. But isn’t everything different today? Nope, it’s still with us. The form has mutated but the content lives on. A Celestial Star in Piccadilly is one case study in how minorities are rendered invisible in the culture and as producers of culture, while the fruits of their labour are appropriated by those who sit at High Table. And the danger of that is it’s the sleep of reason where monsters are born. 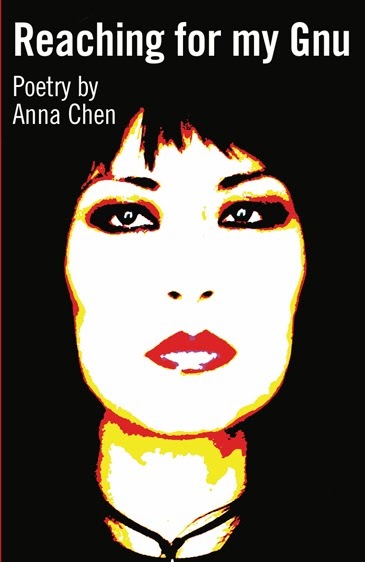 Anna develops her radio programme into a musical multi-media extravaganza, Anna May Wong Must Die! Harpy Marx has reviewed it here. Anna on Anna May Wong and Chinese in Hollywood. The Good Earth review. Anna started writing her novel, Coolie, on the Transcontinental strike by Chinese workers since 1994, taking longer than construction of the railroad itself. 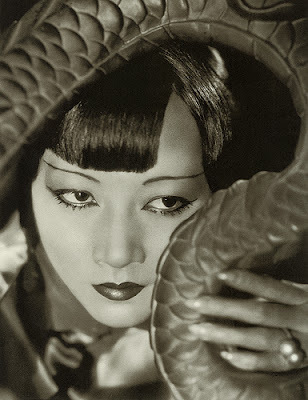 Anna Chen aka Madam Miaow presents a half-hour profile of Anna May Wong, Hollywood's first Chinese movie star, tomorrow morning on BBC Radio 4. Starring with Marlene Dietrich in Shanghai Express, killed off in most of her movies, a huge hit in Europe, reviled in China, Anna May was the most visible Chinese woman in the world during the 1920s and 30s. Stuck playing dragon ladies and lotus blossoms all her career, who wouldn't crack? So what happened to her? To be broadcast 11:30, Tuesday 13th January 2009, coinciding with the 80th anniversary of the making of Anna May's British hit, Piccadilly. A Celestial Star in Piccadilly is Pick of the Week in the Guardian (Saturday Guardian Guide), Daily Mail and Mail on Sunday. Please come back — more later tonight. A reminder to all my lovely readers that there are only two more days to go til it’s all over. That’s two more days to vote for your favourites. 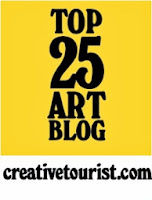 So far, 620,000 votes have been cast, and 1.2 million visitors have perused 2 milllion page views in the Weblog Awards. It’s been a riot. This is only a small one-person operation in the vastness of the blogosphere, and I'm up against some giants. But it’s great the way the Weblog awards competition opens it up for all-comers. I'm currently neck and neck for sixth place and, exciting as it is, it would be very nice we could at least widen the gap. You might also like to vote for Neil Clark who was winner of the Best UK Blog 2007 but is way behind right-wing blogger Melanie Philips this time around. I’m also recommending a vote in the category of Best Middle East or Africa Blog for Informed Comment. Please vote for Slacker Chic in Best Fashion Blog for her wit and irreverance and as a much-deserved reward for keeping me entertained. Remember, you are allowed to vote once per computer every 24 hours. A huge thank you to everyone who's voting — you are stars. This is the mugshot of the little bastid that’s been ravaging my body for the past few days. At first I wasn’t sure if it was a nasty cold or the beginnings of the flu that's been doing the rounds but the symptoms seem to indicate an invasion of the the latter. Armed with their F-16s and Apache helicopters, these fuckas are launching white phosphorous bombs and taking out my lung-lining like it’s Lucy Pinder. All I’m armed with is some poor wee scillia doing their feeble best to expel the infection but getting mashed by the superior firepower of the aggressor virus, the nasty, nippy, little overblown emissaries of pain. Thursday was the worst. I was faint, hallucinating (quite nice, actually), delirious, bronchitic, shivering, aching all over and unable to sit upright. Today I'm feeling a bit better, thanks for asking. Unfortunately, it's probably the variety that makes you think it’s gone and you're on the road to recovery. Then it returns bringing all its friends and has a party in your twitching corpse. 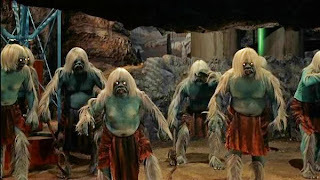 Blogger-on-the-spot Harpy Marx just texted me at 13:40 to say there were 100,000 on today's march in London. "Everybody is somebody's Jew. And today the Palestinians are the Jews of the Israelis." Primo Levi, A Hard Case: The Life and Death of Primo Levi; The New Yorker, 2002. 270 of the Gazan dead are children. March to Kensington High Street, past the Israeli Embassy. Based on personal experience of the behavior of IDF conscripts toward Palestinian civilians, I would say that the Israeli government has little control over what individual groups of these young Israeli soldiers may do in incidents like the one yesterday in which mortar fire was directed toward UN controlled school buildings. ... In Beit Suhur outside Bethlehem, I have seen IDF troops shoot at Palestinian Christian women hanging out laundry in their gardens. ... the behavior towards Palestinian civilians of IDF troops at roadblocks was reminiscent of that of any group of post-adolescents given guns and allowed to bully the helpless in order to look tough for each other. We have to end the bombing immediately and get all parties to talk to each other. The first thing we should do is stop arming both sides. That means us, Britain. For those of you who missed it first time around, here's me looking for a boyfriend. You were beautiful. You were the Godfather of punk. Fans adored you and Bowie wanted to be you. “I wanna be your dog,” you sang in a critique of a foul world. Or was it raging masochism? was something else you sang. 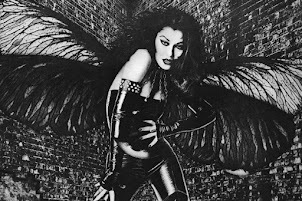 You worked out and had the most fabulous body in the Rock biz. Then your skin got saggy and in your see-thru pants you looked like the freshly exhumed corpse of a teenage bodybuilder who’d been dead for a week, or so said Charles Shaar Murray when he’d picked his jaw up off the floor. Suddenly you are beautiful again. The skin is tight. A modern miracle, possibly by surgical means — who can tell? And now you are pimping Swiftcover insurance in a $25 million advertising campaign. “Get a life. Get life assurance”, they make you say. Give me back my dreams is what I think. “I wanna be your dog.” And now you are. Hail and farewell, Ron Asheton, Iggy's guitarist from the earliest days, who probably saw the advert and promptly died of shock. "...it became more horrible and twisted than you could ever imagine, the air thick with treachery and vileness. By midnight the whole place was a vicious ball of fangs." UPDATE: Ha! It emerges that Swiftcover doesn't insure musicians and is now being investigated by the Advertising Standards Authority. The Weblog Awards opens at last and Best Culture Blog Finalists are off like hares out of a trap. In fact, thus far, I’m a repectable third out of ten. ... EEK! They're catching up. Three of us neck and neck for third place. You can vote every day in each category for the next eight days(closes 13th January). I’m feeling like Jeb Bush and Katherine Harris, complete with butterfly ballots and hanging chads. Vote early, vote often! Vote Madam Miaow! Please also vote for Slacker Chic as Best Fashion Blog. She writes some of the funniest rants in the blogosphere and entertains me hugely in moments of boredom or when I have something important to do and I'm trying to put it off. 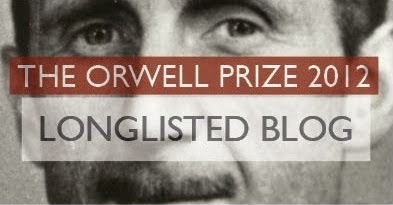 Vote for Neil Clark against some horrible right-wingers in the Best UK Blog category. To those who trusted him. With closed ears and shut eyes. Which, sadly describes the imploding left for the last few years. External actions are all very well and good but they can't hide what's rotting within because that will surface at some point and that point is now. Bill Greenwell has an item on the importance of metre. Or not. He started me thinking about my own poetry again. Anyhow, I thought it was time to dust off a poem and what better, considering the current state of the British left — or a certain dominant section of it — when our economies are collapsing and there's murder in the Middle East, than one that deals with their preoccupations in the face of meltdown. Written from experience. If only it weren't so. Chained to a system that feels like murder. Sitting at a desk wondering should I mow the lawn? And watch it bloom with a BOOM! In a metal petal shower. Just what hell is this? It was based on something a friend told me, how some US revolutionaries felt so defeated that they'd taken refuge in Parent Teachers Associations, which struck me as sad, funny, pathetic, touching, a waste. Endgame. I wrote this poem because when we face the truth, what is, then we can start to build anew. 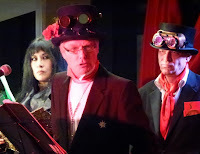 There's also a video of me reading it here but now I've learnt it, I hope to get a new version recorded and up soon, especially as I was on late in the evening of the performance, consumed too much plonk, and was pissed. Not that you can tell. Hyuk!